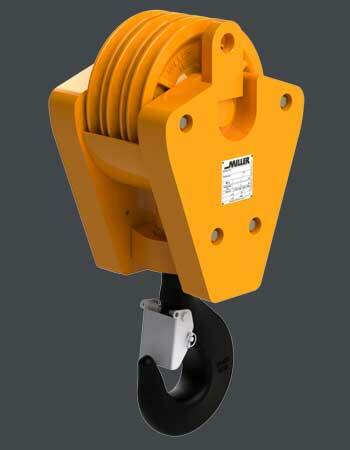 Highly durable and compact Miller Hi-Lift Crane Blocks are available in standard models to 300 tons WLL, and up to 13 parts of line. Heavy, welded steel plate construction provides rigidity and and strength for longer life. Design factor 4:1 minimum.